NEW BEGINNINGS-IT TAKES COURAGE TO CHANGE ©: WE INTERRUPT YOUR REGULAR SCHEDULED PROGRAMMING, TO BRING YOU THIS IMPORTANT MESSAGE! WE INTERRUPT YOUR REGULAR SCHEDULED PROGRAMMING, TO BRING YOU THIS IMPORTANT MESSAGE! Stop thinking on it, STOP mulling over all the possible ways this can play out or the many ways that you can go IF you don't get the job, the money, the car, the food, the clothes, the, pick something....that you need that is required to take care of your needs! He knows what Is required from you And For you also! To Whom Much is Given--Much Is Expected! So He gave you all this that you have True! And you thank Him and Praise Him, and say that You trust Him by Faith. He has placed you Right where you are sitting, or standing right now! He Is Expecting a Full Return on the Gifts and Anointing that He has given to you--Much! So why are you concerned, worrying, fretting, thinking on 'it' too much? Because you don't know what is going to happen now? Because you Know that there is Nothing Else that you Can humanly do -- you have done All And Everything that you Can Do! So, now because nothing is possible in your hands, by your power, and God is Not saying anything to you right now about 'it', that you just don't know what to do. Stop thinking on 'it', And Start Praising Him for It Being Done His Way For YOU--Why? Because He has unlimited UnconditionaLove for you! 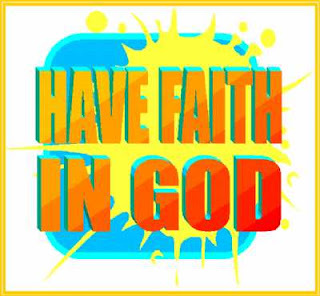 Remember, that God Will Meet Our Faith! What that means is that, if you don't Believe that He will pay the college bill this month, but Will pay the medical bill, Then that is What Your Faith will Allow Him to do for you. If you Believe That He Will take care of ALL YOUR Spiritual & Natural NEEDS FOR EACH DAY NO MATTER WHAT!! Then, that IS Where He Will meet YOU--And Your FAITH! At the Corner of Trust And Believing! God Will Meet My Faith! Keep telling yourself this, so that you begin to think past the need, and look into what is blocking the Growth of Patience and Trust And a deeper Faith! 5Examine and test and evaluate your own selves to see whether you are holding to your faith and showing the proper fruits of it. Test and prove yourselves [not Christ]. Do you not yourselves realize and know [thoroughly by an ever-increasing experience] that Jesus Christ is in you--unless you are [counterfeits] disapproved on trial and rejected? 6 minutes & 45 seconds. 6 minutes & 45 seconds To Give Back To Our Lord! HOLY HOLY -by Richard Smallwood-Smallwood Singers-Journey Album.